2. Honey Bees: Worker bees! They ain’t called that for nothing! 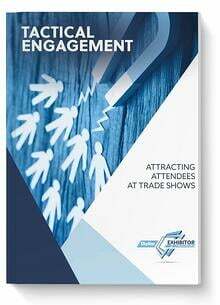 These busy personality types are always buzzing around gathering some trade show honey – LEADS! They have a singular focus and will work circles around everyone else. Don’t get in their way, either. They have a job to do, and you don’t want to get stung! 3. Golden Retriever: Ah, man’s best friend. Who doesn’t love a happy, lovable, friendly dog of any breed, particularly a Golden Retriever? (Get rid of all of your images of guard dogs. That’s not what we’re going for here!) If you’ve got booth staffers who are Golden Retrievers – welcoming, warm, excited to see visitors – you have a real treasure. This type will befriend the hurried buyer in the aisle and the loiterer in your booth. They will talk to anyone and make them feel right at home. If you’re trying to build a welcoming environment and a friendly culture in your booth, these canine-people are your best friend. And they WON’T poop on the floor of your booth. 4. Frogs: Amphibians. What are they? Land animals? Water animals? They’re both! And that’s what makes them so great. They can thrive in water and on land. They can adapt to their surroundings. Like their animal counterparts, froggy booth staffers are adaptable and flexible. Their sales numbers are excellent in the field and excellent at the show. They can adapt their selling methodology to whatever environment they’re in. And they’re equally suitable for both. So, if you’re planning on an underwater trade show anytime soon, you’ll know who to call! 5. Lions: The King of the Jungle just might not be the king of the booth, and here’s why: sure, lions look great – it’s the mane, man. You just can’t beat a great head of hair. But what do lions actually DO? Well, they roam around all high and mighty while the lionesses do all the hard work of hunting and killing. And while booth staffers with great hair might do wonders to draw visitors to your booth, they won’t do much to keep them there. No lyin’. 6. Kangaroos: What do we really know about these maternal marsupials except that they have a pouch on their bodies to hold their precious babies? What else do we NEED to know? That’s amazing! But if you’ve got a kangaroo in your booth, they might be pocketing YOUR precious babies – leads! These types look cute, but they take leads from outside of their own territory and stash them in their own pockets instead of placing them in the lead slot. Boo, Kangaroo! 7. Ostriches: Why is this even a bird? It can’t fly, it’s not graceful, and it likes to hang out on land burying its head in the sand when it’s scared. It doesn’t seem to know its purpose. Sound familiar? Do you have anyone in your booth who is terrified of engaging visitors, who tries to find any way possible to avoid interaction? Maybe they aren’t sticking their head under the carpet, but they probably would if they could. Well, you’ve got an ostrich! 8. Mules: Mules don’t have a good reputation even in the animal world. They are known to be loud and curmudgeon-y and headstrong. “Stubborn as a mule” isn’t a compliment. If you’ve got a booth staffer who’s a mule, you’ve got someone braying to anyone who will listen: “Trade shows don’t work!” “This is a waste of time!” “There’s nothing to do here!” Meanwhile, everyone around them is busy engaging attendees and working while the mule is too stubborn to even try. 9. Wolves: Having wolves in your booth isn’t all bad – it’s preferable to have someone sharply focused on hunting for new business. Their keen senses and hunting prowess contribute to their success. 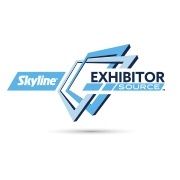 However, at a trade show, you definitely don’t want the Big Bad Wolf variety, which is overaggressive and hungry. These wolves will frighten your potentials and gobble up your business. 10. Sharks: Like the wolves, the sharks are voracious predators who spend so much time chasing blood, they don’t stop to have a meaningful conversation with anyone. Constantly on the hunt and scary to anyone they approach, sharks do more damage than good on the trade show floor. 11. Fish: Unless their enormous first cousin – the shark – fish seem harmless. They are gorgeous in a group and they seamlessly travel in a group, veering left and right as one. This kind of unity can be useful in a group, UNLESS you have a bunch of staffers who are acting like a school of fish. Fishy booth staffers stay bunched up together; they are an overwhelming barrier to anyone trying to enter your display; and they also communicate more with each other than the attendees. If you’ve noticed staffers bunched up talking instead of engaging with potentials, there might be something fishy going on. 12. Raccoons: Dude, what’s with the dark circles under your eyes? Oh, you were up all night? Oh, you’re NOCTURNAL! Sound familiar? Do you have night-owl staffers who want to party all night and sleep all day? Everyone has their own natural rhythm of sleeping and waking, but this type of booth animal really struggles. They miss their booth staffing hours, business breakfasts, early morning meetings, and more. And if and when they do show up, they lumber around sleepily with dark circles under their eyes. Maybe they should look for a night job? 13. Bears: The mere mention of a bear strikes awe and respect in all of us. They are big and powerful and strong and mighty. They command respect wherever they are. They are a formidable enemy and a protector of their young. They bring strength and potential to any situation. However, they also like to eat a lot and sleep a lot. And they do this on THEIR timetable. No one’s telling a bear when to binge and sleep. They hibernate when they hibernate. They don’t even come out of hibernation to give birth! That’s serious, folks. For this reason, you don’t really want bear-types in your booth. They sleepwalk through the day having eaten a huge meal, and they really just want to take a nap all the time. They can’t stand the thought of having to be awake and alert and at the ready for potentials. It’s un-bear-able! 14. Goats: Goats are not the most discerning of animals. They have no intuition. They will eat goat food, human food, an old shoe, a tin can, or even a Harlequin Romance book. They just don’t have a selective palate. They don’t make decisions based on nutritional value. Unfortunately, if you have goats on your booth staff, you’ve got people gnawing away at worthless junk leads all day long. They don’t recognize the difference between quality leads and poor ones, so they just keep chewing. 15. Canadian Geese: This migratory bird is always on the move. It’s gotta get down south before winter comes. It’s gotta get up north before summer comes. It’s too hot here; it’s too cold there. It’s always better somewhere else. If you have trouble keeping track of your booth staff, you might have some migratory geese on your hands. They wander around the show looking at everyone else’s booths instead of staying where they are most needed. And just about the time you think you’ve located them, they’re on the move again. 16. Peacocks: Peacocks are beautiful. When they stretch those feathers out, there’s nothing more glorious. Of course, they make a hideous screeching noise, but who cares? Look how pretty they are! What else do we know about peacocks? Well, nothing actually, because peacocks are all strut and beauty and everything else pales in comparison. If you have a staffer who is all style and no substance, you’ve got a peacock. The good news is that you’ll only have one – there’s no room for more than one attraction in a booth. The peacock will usually use an outrageous or flashy outfit as an attraction, and for what it’s worth, it works. But ask the peacock for help or assistance and you’ll be let down; there might not be screeching, but there will definitely be a peacock in the headlights look.